Receive the healing power of touch that involves both body and mind, producing a profound state of calm and well being. Melt tension and stress away on all levels. Increase the circulation of the body, relax the muscles and enhance the flexibility of joints. A blend of holistic massage, deep tissue, shiatsu, acupressure, reiki and reflexology. Whole body or specific conditions. Contact info@yogabythesea.ca to book a session. Bring your group to Yoga by the Sea for a private yoga class catered to your group. Or we will come to your location and bring any props that are needed! Contact info@yogabythesea.ca to book a private group yoga class. Whether you are want to build strength from an injury or illness, are ready to take your practice to a deeper level, want to integrate your body’s healing and awareness further into your life or you are just starting out and would prefer a private yoga session before attending a class, personalized private yoga sessions are designed around your body, mind, heart and spirit. Click here for more details. Contact info@yogabythesea.ca to book a private yoga session. A Yoga Therapy session combines the ancient science of yoga with modern elements of bodymind psychology. It is an empowering process that facilitates integration of thought patterns, emotions, behaviour and physical conditions. A Yoga Therapy session begins with a guided meditation to bring your awareness inward to your body and mind. After the centering, you will be assisted through yoga postures, stretches and breath work to find your edge—a place of heightened awareness or sensation. From this place of deep internal awareness and focus you will enter a non-directive, client centered dialogue with the practitioner. The dialogue is about discovering what is happening at this moment, within you. The combined effects of dialogue and assisted postures support you in discovering what is happening within you moment-to-moment—physical sensations, thoughts, and feelings. The Yoga Therapy practitioner assists you to access information stored in your body by providing a stimulus, mirroring your responses and witnessing your process. Your job is simply to tune in, listen to your body and mind, and report your experiences. When the postures are complete, the practitioner guides you through a simple process for integrating your Yoga Therapy experience into your daily life. Then you will choose actions to move your life forward on the path of personal development and growth. 90 minute sessions available for $105 per session (tax included). Sliding scale based on income available. Contact info@yogabythesea.ca to book a yoga therapy and bodywork session or call 604-989-2382 for a free 15 minute consultation. Body Mindfulness offers gratifying feeling of balance within body, emotions, mind and spirit. U-sessions are about meeting yourself in a safe space. The focus is to support and restore the body’s inherent ability to heal itself. Each massage session is an invitation to come in touch with those parts of yourself that are in need of nourishment, rediscovery, balance and vitality. While in a state of deep rest, we offer transformation to the areas of the body where tension has been stored for prolonged periods of time. Individual exercise programs, awareness practices and nutritional ideas can be created for your personal use to continue the effect of the U-session. Contact Beata at bodymindhealth@u-sessions.com or 778-233-4234 to book a session. Bringing Balance to your physical, emotional and mental being. As a Registered Yoga therapist, CYA-E-RYT 550 (Integrative Yoga Therapy) Lyne Lantaigne understands how to work with your body to alleviate pain and teaches you the tools so you can do it yourself. Your life is written in your body. Lyne helps guide you in uncovering and honoring your body’s messages. The process moves from the physical to the subtler level of your emotions. From your first session you will experience the benefits: you will move with more ease, feel more emotionally and mentally calm and balanced, and enjoy a growing sense of self-mastery. Other movement practices and areas of study that inform her teaching are Qi Gong, Somatics, Feldenkrais, Tensegrity Repair, Functional Anatomy (Anatomy Trains) applied to Yoga Therapy, Mindfulness, Esoteric Science, Reiki (Certified Level 3 Practitioner), and Sound Healing. Contact Lyne at lyne@lyneyogatherapy.com or 604-989-0742 to book a session. Leah is an authentic, caring and fun teacher. Her approach is completely client focused and she will work with you to improve your well being. Her sessions include: assessment, establishing appropriate goals, developing a practice intervention using yoga techniques such as breath, meditation, and movement, and then teaching you to practice these techniques that are specific for your needs. Each session includes a practice sheet with detailed cues to incorporate into your life. Leah Painter is a 800hr Certified Yoga Therapist through IAYT and RYT-500 through Yoga Alliance with over 10 years experience. She specializes in women’s health issues including: prenatal, postnatal, pelvic floor dysfunction, diastasis recti, injury, and mood disorders. 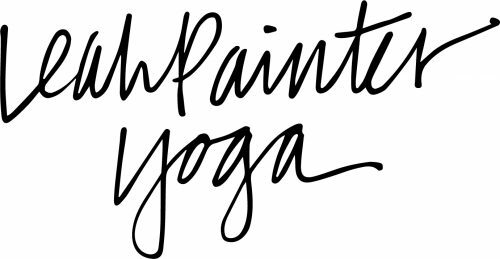 Contact Leah at leahpainteryoga@gmail.com or 604-989-2705 to book a session.